Seaweed is considered the new green gold and many scientists agree that this little green plant can save our planet! What’s up with that? And where does our seaweed come from? What comes from the sea, grows on sunlight and belongs to one of the most powerful plants on this planet? Right; seaweed! 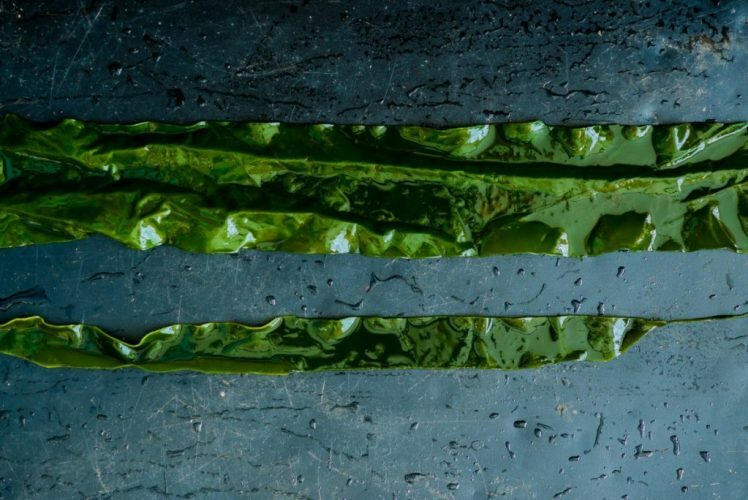 These ocean greens are an essential addition in the plantbased gastronomy, due to its high quality proteins, omega acids and minerals. The Royal Kombu in our products is sustainably cultivated by Rebecca and Jennifer from Zeewaar. Seaweed is considered the new green gold and many scientists agree that this little green plant can save our planet. It is a high quality source of protein, its cultivation doesn’t take up any agricultural land, and hardly uses fresh water. We believe that we have to work with the sources that are available and that the best utilisation of food is to use it directly for human consumption. EAT WEED LIVE LONG! Zeewaar is the farm that cultivates the Royal Kombu we use in our burger. In 2014 they harvested for the first time on their sea farm in National Park Oosterschelde in the province of Zeeland. These women are dedicated to creating a sustainable new seaconomy and foresees a string of seaweed farms all the way down the European west coast, who in collaboration with the ocean grow high-quality plants.